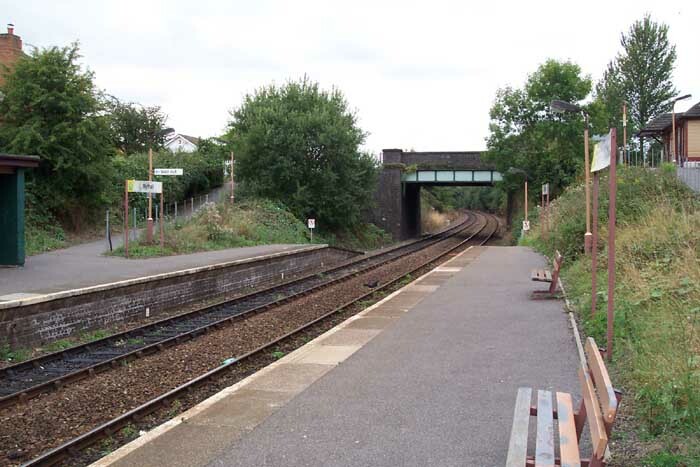 Yet another largely-unstaffed halt opened in 1908 on the ex-GWR North Warwickshire Line (it is staffed during the morning only). 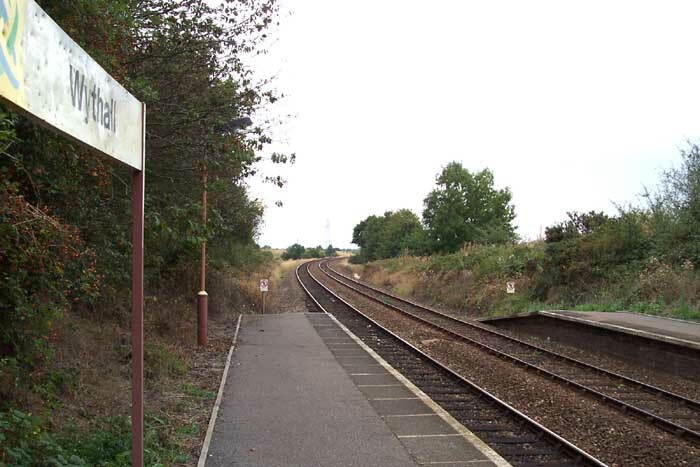 Originally called 'Grimes Hill' this station marks the beginning of urbanisation as you travel towards Birmingham from Henley-in-Arden. 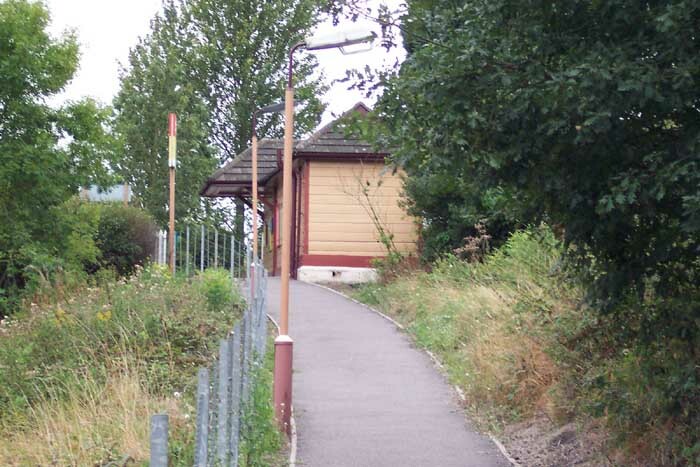 It is, as with the others on this line, in a poor state of repair - note the broken fencing in the above picture of the ticket office off Station Road, September 2003. There is also no obvious car parking at the site - nor near it as double-yellow lines have been painted on all the surrounding roads: whatever happened to encouraging communters to drive to a station, park and take the train into the city? Above-left we are on the Birmingham platform looking towards Earlswood through the Norton Lane overbridge. 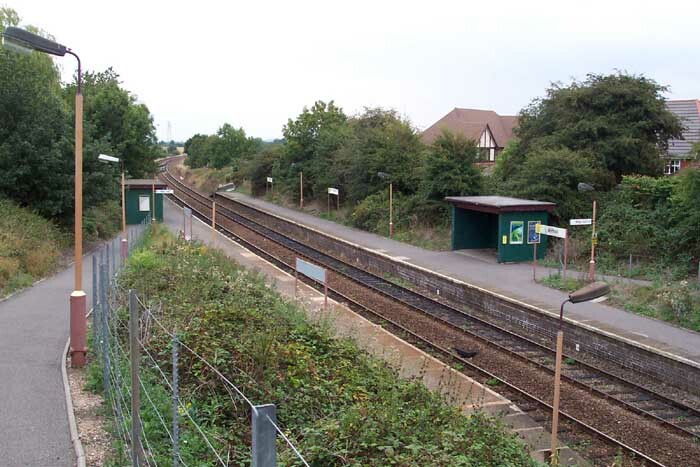 The station building is up the pathway on the extreme right of the shot and displays the maxim familiar to travellers around the region: "This station is unstaffed, please board the train and obtain your ticket from the conductor on the train". Above-right we are still on the Birmingham platform but this time looking towards Birmingham. 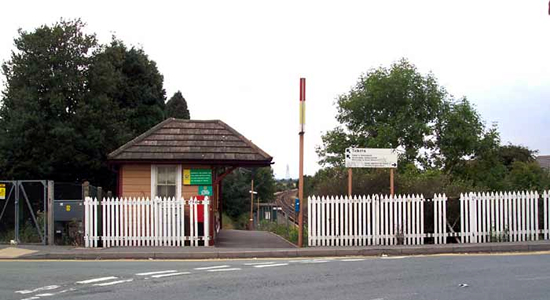 Above-left is a closer view of the semi-disused station ticket office, which is an original GWR structure, and above-right we are infront of the ticket office looking down at the station towards Birmingham.